A land of mystery explored! The mountains of the Himalayas are steeped in mystery and legends. This is the home of fabled Tibet, the jumping off point for many colorful stories that deal with the power of the mind. It is the land of the highest mountains on Earth, mountains still dotted with the remains of those who died trying to conqueror the “Roof of the World.” There are the legends of the Yeti. It is home to many religions, customs, and scenery which is seen nowhere else. This volume celebrates how these mountains seem to cast a spell over people who come from worldwide to take chances on climbing Everest, K2, Nanga Parbat, Annapurna, and others. 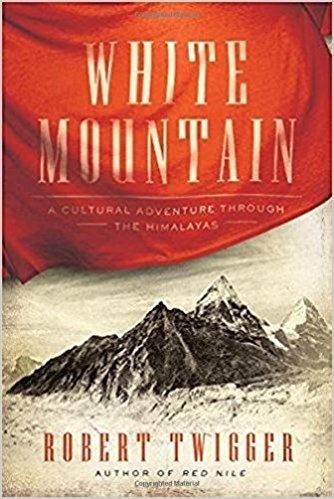 Part personal experience, part guidebook and part history, the book should appeal to those wanting to scout the area before taking an expedition to the Himalayas. The history will appeal to those who wonder how life in the rarefied air of these mountains. The personal portion of the book shows the author’s experiences, which may whet an explorer’s appetite. For myself, I think I expected to get something from this book which I failed to find. It is not the fault of the author, so the book will not get that big of a ding from me.